Carpets should be cleaned periodically. 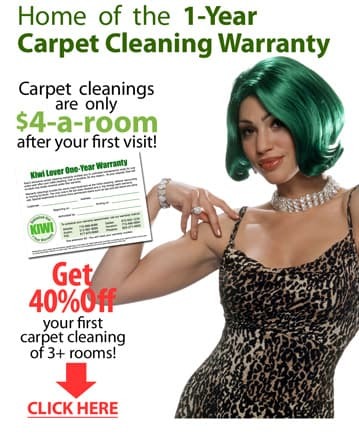 According to the Environmental Protection Agency, you should get your carpets cleaned every 6 months. If you live in a high-humidity area or if your carpets suffer under a lot of foot traffic, you should get them cleaned even more frequently. That’s not always feasible or affordable, though. With KIWI Carpet Cleaning, it is. And with 30 years of experience, there isn’t a job that we can’t do. Our carpet cleaning company in Austin continues to be the top choice for Austin, Texas residents. 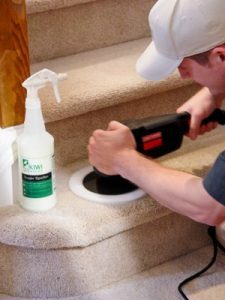 If you’re a busy homeowner with no time to clean your carpets, KIWI has the perfect solution. Our KIWI Lover One-Year Carpet Cleaning Service lets you enjoy an unlimited number of $4 per room carpet cleanings for an entire year. That’s right; we’ll come to your Austin-area home and clean your carpets for just $4 per room as many times as you’d like (a small trip charge applies). 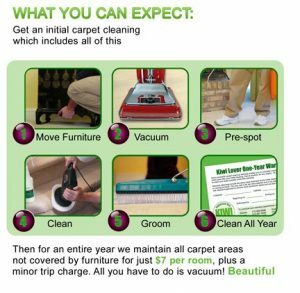 Our carpet cleaning customers in Austin and all over the country are thrilled with the fast-drying carpet cleaning services we provide. In fact, it generally takes about 15 minutes for your carpets to dry after we’ve cleaned them. That means you can have us clean your floors just hours before you host a big party or have guests over for the holidays. Unlike steam cleaning, which can over saturate your carpets and leave them wet and increase the likeliness of mildew, KIWI’s quick dry cleaning services will have your carpets looking great in no time. We also offer odor removal to get your carpets smelling fresh and feeling clean again. You can become part of the KIWI family, too. Just call us and experience the KIWI difference. We’ll schedule an appointment that fits into your busy schedule and you’ll be left with clean, fluffy and fresh-smelling carpets. And if you’re unhappy at the end of your appointment, we’ll redo the work for free, as part of our 30-day clean carpet guarantee.